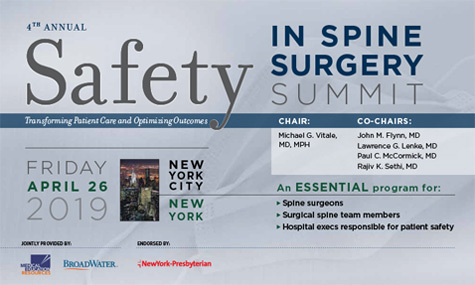 The Safety in Spine Surgery Summit will teach surgeons, hospital executives and team members about the numerous safety and quality advances being made in the field. During one day of sessions, attendees will hear from a diverse faculty about tips and tools that can help improve patient care. 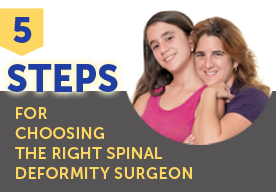 Spine surgeons, members of spine surgery teams, OR directors, hospital executives, and more will benefit from this program, and most importantly, so will patients. Read more about The Safety in Spine Surgery Summit.